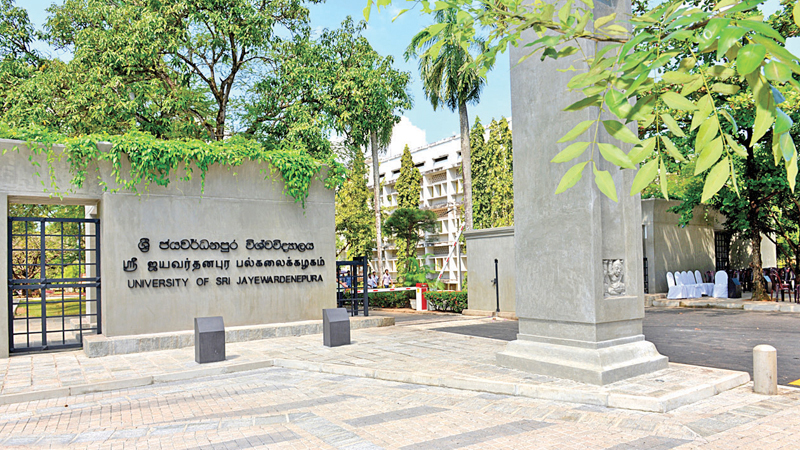 This article is published in view of the 60th anniversary of Sri Jayewardenepura University. The 60th anniversary will be celebrated at the BMICH at 6 p.m. under the patronage of President Maithripala Sirisena today. Assessment plays a key role in formal education for it helps teachers gather data regarding student achievement in a systematic manner, measure achievement and/or ability and make decisions about future performance with evidence from past performance. Different types of assessments are generally used to make judgements about students' progress and achievement in an educational context. They range from conventional assessment methods like true-false questions, multiple choice questions and essays to modern alternative assessment methods such as portfolio, self-assessment and peer-assessment. According to Bloom's taxonomy, conventional assessments such as MCQs, true-false questions etc., require learners to possess only lower level skills such as the ability to recall knowledge, facts and basic concepts. Thus, conventional tests do not allow students to use higher-order cognitive skills such as analysis, synthesis, evaluation and creation. More importantly, such traditional tests provide little evidence of what a learner can actually do with the new knowledge, and they do not seem to ensure lifelong learning that the learners, in particular at tertiary level, are expected to undertake. Although conventional tests play a key role in educational context, alternative methods of assessments like portfolios, self-assessment and peer-assessment appear to have drawn much attention in the last few decades due to their pedagogical value and the higher emphasis on learner autonomy and independence. Also, compared to traditional assessment methods where the teacher becomes the sole decision-maker regarding assessment type and marking criteria, alternative means of assessment ensures a greater student involvement in the process of assessment and marking. Yet, in spite of the empirical evidence supporting these alternative assessment methods, higher learner autonomy and independence and their educational benefits, such learner-centred assessment methods have not become common practices in educational settings in general. Similarly, English as a Second Language (ESL) and English as Foreign Language (EFL) teachers, particularly in the non-Western contexts, do not seem to realise the potential of peer-assessments. Therefore, teacher-dominant assessment methods remain the norm. 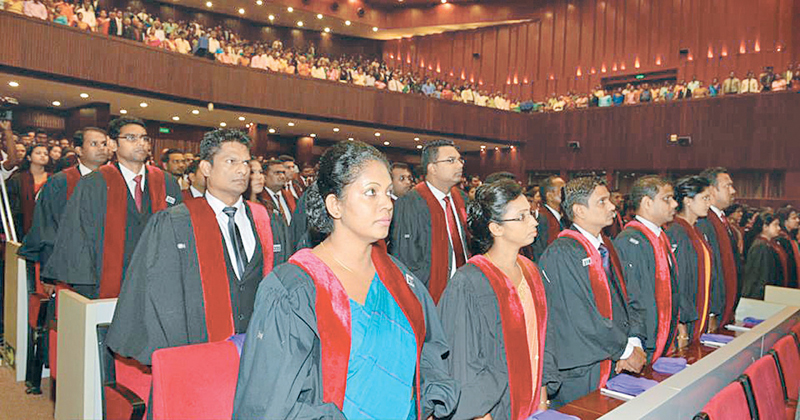 Radical changes need to be made in the higher education sector in Sri Lanka to shift from teacher-centred teaching, learning and assessment to learner-centred teaching, learning and assessment in order to produce a global graduate who can survive in the current competitive world. It is important to empower the learners and train them to work independently as well as collaboratively depending on the situation. Peer-assessment where learners of the same class work together and help each other understand the errors, mistakes and ways to improve their speaking or writing seems to be appropriate for this purpose. Peer-assessment appears to have a number of pedagogical benefits. Dochy, Segers and Sluijsmans and Boud, Cohen and Sampson, among others, claim that peer-assessment fosters lifelong learning skills such as collaboration, teamwork, critical enquiry, reflection on what is learnt, communication skills and learning to learn. According to Nilson, peer assessment help learners develop their critical thinking, communication, life-long learning and collaborative skills. Therefore, peer-assessment seems to be an appropriate alternative to teacher-centred assessment methods that dominate the assessment culture in the higher education sector in Sri Lanka today. Although this is technically termed as peer-assessments, this process can be quite often seen in Sri Lankan universities and students call it 'kuppi'. Although 'kuppi' is done to share knowledge among peers in informal contexts, this can be used as an assessment method in formal educational contexts. A systematic study of this practice can help us validate the positive aspects of peer-assessments and identify the limitations of peer-assessments as well. Further, such a study may help us identify the potential and suitability of peer-assessment in the Sri Lankan context and determine if peer-assessments can help us move beyond the traditional assessment of learning culture to assessment for learning the culture.